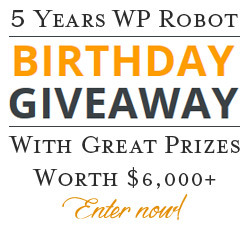 WP Robot Giveaway, the wp robot 5th Birthday And give over $6000 Worth Of Prizes. Everybody loves discount code and FREE stuff! Check out this WP Robot’s $6,000.00 Birthday here and enter for a chance to win, also offers a new WP Robot discount code for you. TeslaThemes Giveaway againe, this time is not only premium WordPress themes giveaway! This Massive Giveaway Announced: Win 2 WordPress plugins + 1 Photoshop plugin + 1 flat icon set + 2 prototyping tools + 1 collaboration platform + 3 Premium WordPress Themes. Total worth = $751. 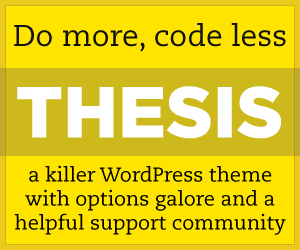 TeslaThemes creates premium WordPres themes coupled with clean design and advanced features. All themes are powered by its Tesla Framework – a powerful administration tool that is bundled with tons of settings and features so you can customize the theme to your own liking. TeslaThemes cares about after sales service. They provide full documnetation, setup guide, a comprehensive FAQ section and a dedicated support forum. Novelty is a Premium Magazine WordPress Theme with bold, modern, responsive design and lots of great features to power your news or content sharing website, Best for Blog, news, magazine, content sharing website or any other related project. Novelty is meant to help you organize and showcase your news or content in an appealing way. Universe is a Multipurpose WordPress Theme with a modern, responsive design and some of our latest features, all powered by Tesla Framework, Best for Blog, portfolio, creative agency, business site, photography site or any other related project. Use Universe WordPress Theme to showcase your creative works in the most appealing manner. – 1 license from proto.io – an online prototyping tool, that makes it super easy to create “real” looking mobile prototypes with animated interactions, gestures, transitions, scrolling and much more. Value $174/6 months. We will announce the winners on 31st March, 2014, so keep an eye on TeslaThemes! GET THE CHANCE TO WIN NOW!